In our main article this week, we discuss Inbound Email Management for North American Utilities. I recently presented a Utility case study at the EMACS conference in Chicago. The focus of the conference was customer satisfaction and marketing for the North American utility industry. While I was there, I was fortunate enough to engage in many very interesting discussions with senior utility industry leaders on the topic of how utilities are handling email, both inbound & outbound. The vast majority (almost all in fact) acknowledged that there was a significant increase in customer email enquiries over the past 12 months, and that they were handling these on an ad-hoc basis, without a system, strategy and minimal or no reporting. Volumes are however reaching a point where this customer service channel can no longer be effectively serviced in this manner. Further to this, is the fact that handling email enquiries is actually more cost effective than taking a phone call. (See this previous article titled Significant Contact Centre Cost Reduction.) Similarly to incoming call technology progress over the past 15 years, all billers are going to need to move towards being able to handle incoming mass email, fax and mobile phone messages in a systemized, efficient & reportable manner. The goal is to have a single capability for BOTH your OUTBOUND and INBOUND non-voice communications. Sending mass customer communication via email. Receiving a large number of consumer email enquiries. In order to effectively manage and combine these, having a single solution to manage and report on these activities is the ideal scenario. Note – Your customers below the age of 30/32, are all also extensively using mobile phone text messaging (SMS) as an active communication channel. There are massive cost savings for billers who capture their customer’s mobile phone numbers. A perfect example is outage notifications. You can significantly reduce the number of inbound outage phone calls in this manner. Average time to response; etc. 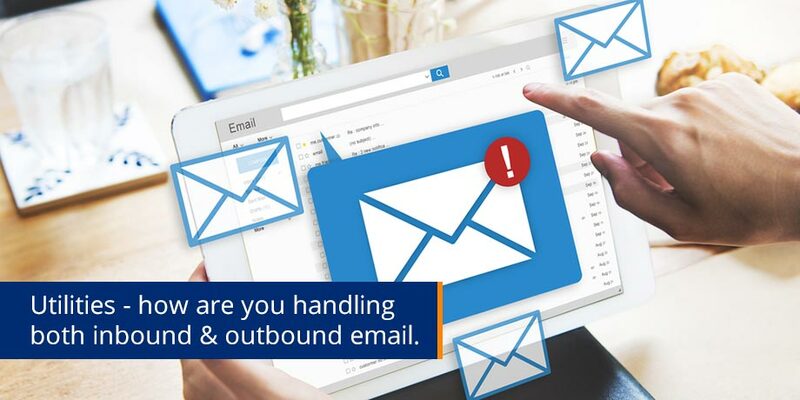 It is advisable to begin with a single medium, inbound email for example, and add other types over time, or as your customer base demands them. The best providers offer these services on an outsourced per message basis, making take-on of such a solution, even at low volumes, easy & cost effective.